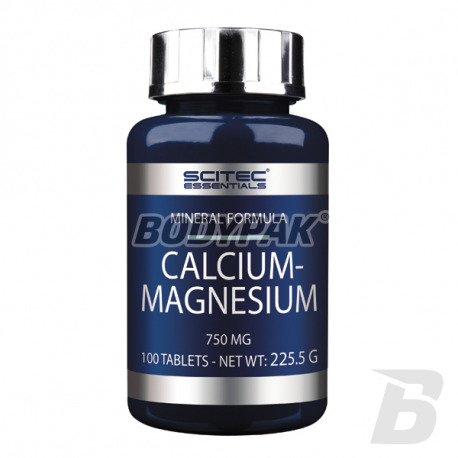 Vitamins & MineralsScitec Essentials Calcium Magnesium - 100 tabl. 6PAK Nutrition Effective Line Zinc - 90 tabl. 6PAK Nutrition Effective Line is a line of the highest quality supplements at attractive prices. We present Zinc, which supplements zinc deficiency. This is the element that is responsible for maintaining the proper level of testosterone in the blood. Trec Magne-100 Sport - 60 kaps. High-quality complex of four forms of magnesium and vit. B6, which aids its absorption. Bad magnesium are very common not only in people practicing! Fatigue, lack of strength for life are just two of the many symptoms of the lack of this important mineral! 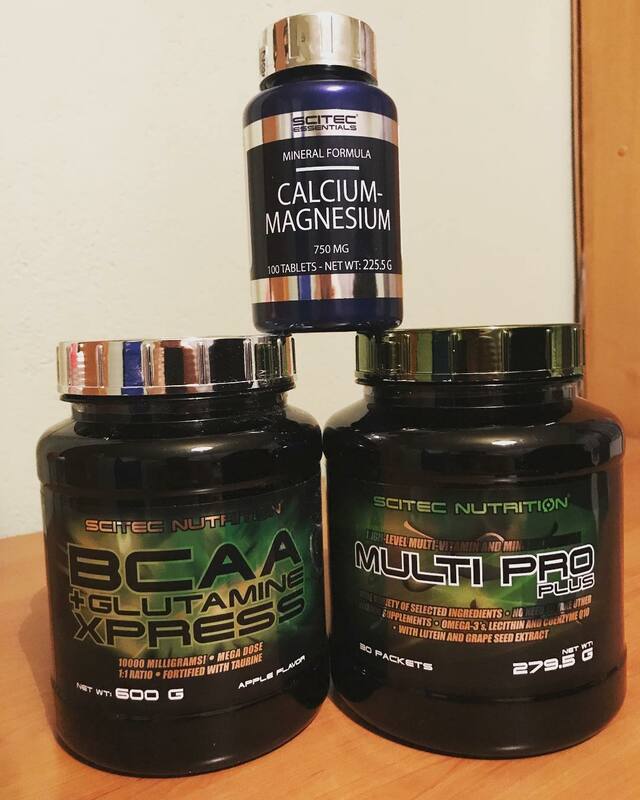 Scitec Essentials Calcium Magnesium - 100 tabl. 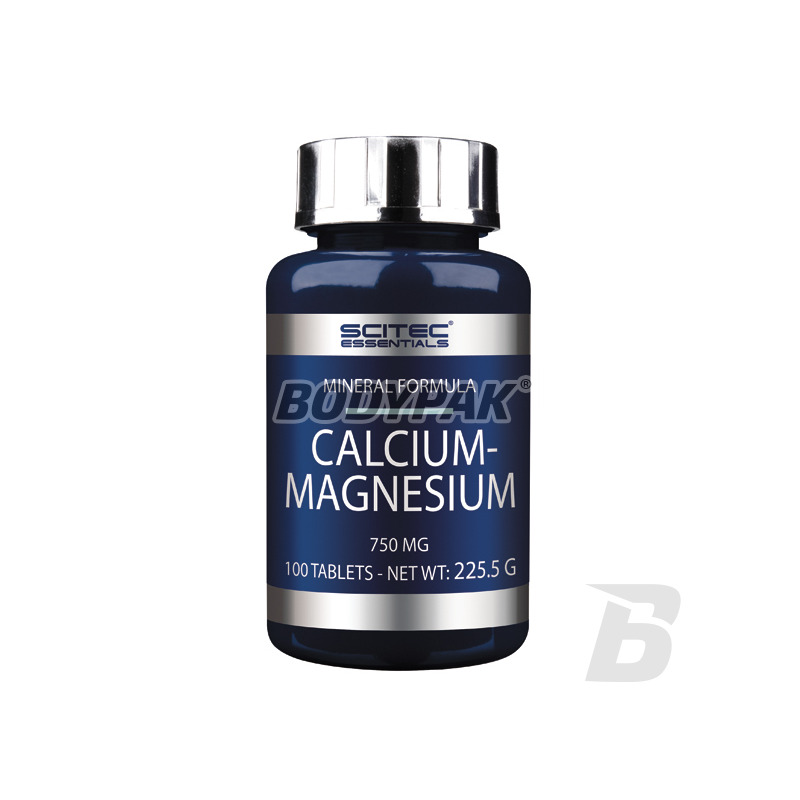 Calcium & Magnesium is a dietary supplement in tablets supplementing the daily requirement of the body in calcium and magnesium. It contains highly absorbable forms of minerals in the body. Calcium - is responsible for the proper construction of the bones and teeth, is one of the most important building blocks of our body, it contributes to the functioning of the cardiovascular system, nervous system and muscles. Magnesium - is one of the most important chemical elements in the human body. It occurs in all tissues and body fluids. Magnesium is essential for the course of many metabolic processes. It affects the proper functioning of the nervous, muscular and cardiovascular. In addition, magnesium helps the body absorb calcium for bone tissue and improves the intestinal absorption of potassium. The average daily demand for magnesium is about 250 mg. Deficiency of ions of the element can cause disturbances in a muscle (contractions, vibration) and in the central nervous system (excessive irritability, trouble concentrating). Wapń i magnez w sporej dawce i dobrej cenie! Dobra alternatywa do drogich produktów konkurencyjnych firm! The product is rich in calcium, magnesium and zinc! In addition, a large dose of vitamin D3 for healthy bones. The product recommended for adults who wish to support your body! Salvum Protego Biotyna 2,5mg - 60 tabl.